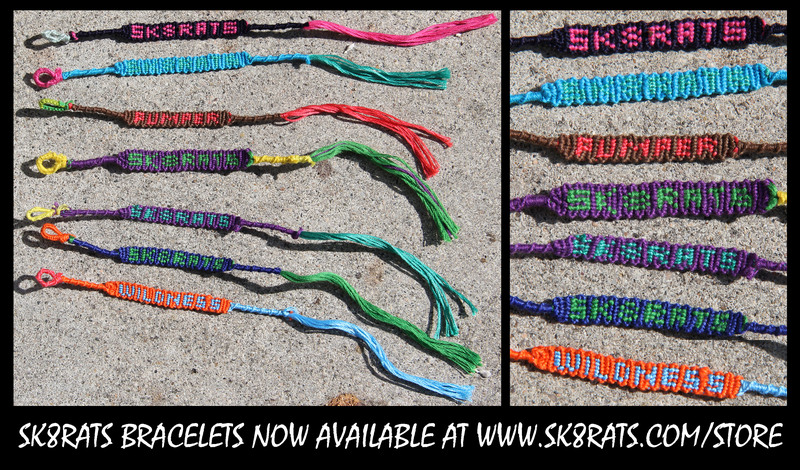 My good friend Smotag’s Girlfriend Ariel is holding it down making some pretty legit SK8RATS Bracelets! These are all one of a kind and there are only a few, so snag one quick! And support Ariel and her master bracelet making skills! She knows whats up! 1 Response to SK8RATS Bracelets are here!!! Damn you shipping and handling!! !